Have sense she said sharply, lobsters are always boiled alive. They must be. She caught up the lobster and laid it on its back. It trembled. They feel nothing she said. In the depths of the sea it had crept into the cruel pot. For hours, in the midst of its enemies, it had breathed secretly. It had survived the Frenchwoman's cat and his witless clutch. Now it was going alive into scalding water. It had to. Take into the air my quiet breath. She lifted the lobster clear of the table. It had about thirty seconds to live. Well, thought Belacqua, it's a quick death, God help us all. 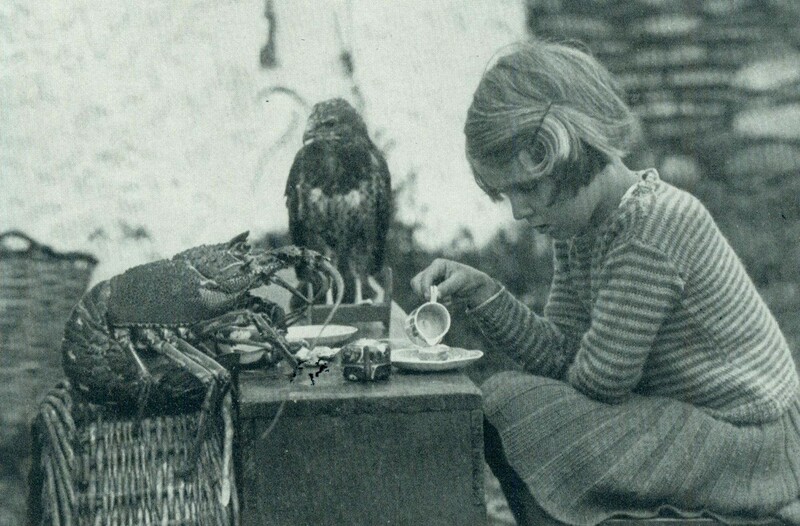 tea with her friends the spiny lobster and a baby hawk.